We are ready to assist at every stage of the software-development lifecycle. Sunflower Lab delivers custom software development to a variety of vertical and business domains. From conceptualization and business analysis, prototyping and development, to deployment of a complete solution, we guide you thoroughly through the cycle of Custom Software Development. We reckon that many software requirements aren’t limited to either mobile applications development or web applications development and, hence, our brilliant pool of engineers and developers at Sunflower Lab custom software development services in our Columbus, Ohio, and other cities like Dayton, Cincinnati, and Cleveland, guarantee you the assistance required accompanied by cutting-edge technology and latest trends to tackle any problem or requirement that comes your way. We have expanded our growth from retail terminals to GPS tracking and much more. Why Custom Software Development Services? Our expertise lies in Custom Business Applications, Mobile Applications & Web Applications, IOT Application, Alexa Skill Development, AR/VR Application Development, Strategic Consultancy, Cloud Migration, Cloud Managed Service, OpenSource Development and many more. Our expertly compiled team of engineers excel in every technology powering native, hybrid and custom software development. 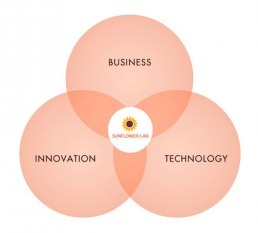 Why Sunflower Lab for Custom software development services? We ardently believe in taking the matters of our clients’ businesses by the hand and leading them towards the desired solutions. We run on the basis of determination, trust, simple communication and a confluence of dedicated manpower and expert minds. Our target is the ultimate satisfaction of our clientele and delivering excellent services. We focus on business problems and delivering solutions that don’t just fit your ideas but expands them. Whether your needs fall in web applications development, mobile applications development, cloud or custom software development, Sunflower Lab has got you covered.